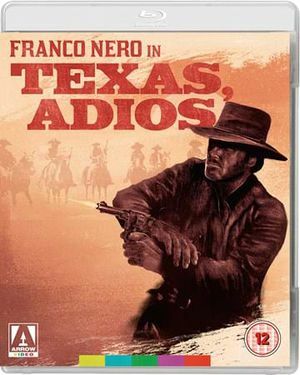 The only spaghetti western by Mario Lanfranchi, better known for directing operas and his work for high-brow television. According to Lanfranchi, Tomas Milian calls the film one of the highlights of his career, but Milian said in an interview with the magazine Nocturno that his part is the only highlight of the movie, which is definitely not the same. 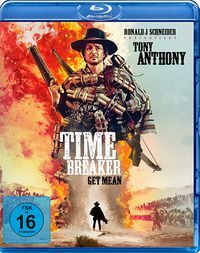 With an avenger who is after the four men who have killed his brother, Sentenza di Morte tells the most common of all spaghetti western stories. What sets it apart, is the film's structure of four separate acts, making it look like a stage play or a portmanteau movie. American actor Robin Clarke (he was Ali McGraw's boyfriend at the time) is the avenger, called Cash (Django in the German language version). His brother was killed and he wasn't able to do something about it, because he was an alcoholic at the time. 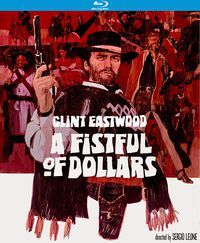 Cash is persecuting a rancher called Diaz (Conte) in a desert landscape. Diaz has two guns but no water, Cash has water but no gun, so he keeps his distance, provoking the dehydrated Diaz with his supply of water. The act has two flashbacks, one a person. The Cash flashback illustrates how Cash's brother was killed, the Diaz flashback tells how Cash arrives at the Diaz ranch and kills all his men. Afterwards, we return to the persecution in the desert. At night Cash builds a false well that eventually will become Diaz' grave. This first episode is a wonderful piece of work, well-told, neatly constructed, very tight. The best part of the movie. Actually it's a small masterpiece. Conte is a rather amiable villain, who has worked hard and led an honest life after his crimes, and we almost feel sorry for him when he is finally killed. The villain of the second act, Mendoza (Salerno), is a despicable person, a professional card player who likes to fleece and humiliate his opponents. Cash uses the man's obsessions to lure him into a card game that is literally all or nothing: the winner will take the other man's life. 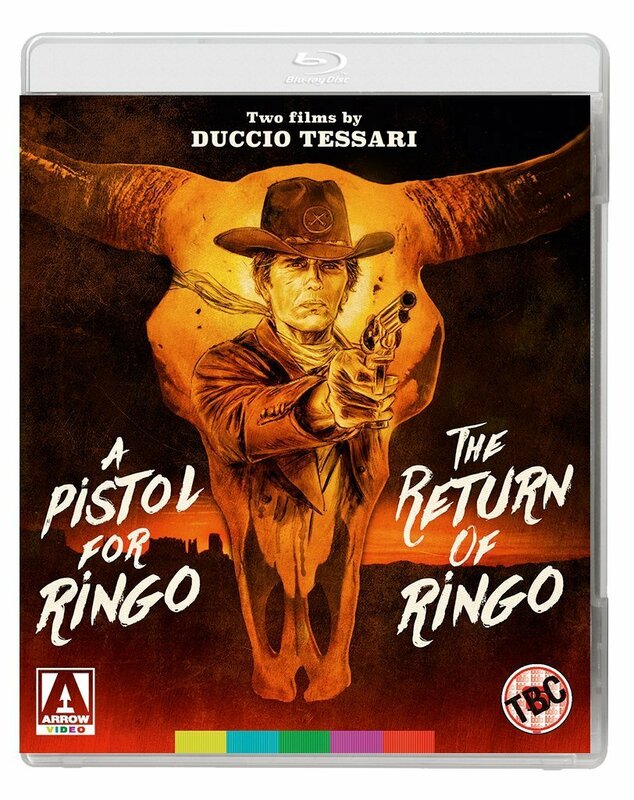 This part is not as vivid as the first episode, but Salerno does a perfect job as the compulsive gambler (it's not difficult to understand why Leone had a high esteem for this actor, who dubbed Eastwood in the dollar trilogy), and Lanfranchi comes up with some remarkable camera angles and movements to keep the viewer interested. Moreover he offers us a quite astonishing jump-cut to the blood-stained body of a murdered girl, who had warned Cash of Mendoza's tricks. Lanfranchi uses the jump-cut-technique more often, and not always to good effect, but in this scene it works marvelously. At first sight there's not too much wrong with the third act, about a pious enforcer (Celi) who terrorises the surroundings with his private militia in the name of God, but like forum member Paco Roman has pointed out, it is essentially different from the other three, in which Cash uses the weaknesses of his opponents to force their downfall. Here he can only survive by cutting out the bullet Celi has put in his leg and use it to load his empty gun. Moreover the allegorical visual language and gothic atmosphere mark an emphatic shift in tone and style. Celi is a Mussolini like, grotesque religious maniac, his black-clad militia most probably referring to Mussolini's black coats (just like the black-clad homosexual muchachos in Django Kill!). Deviant, but visually strong, it works better watched independently, and perhaps Lanfranchi should have elaborated it to a full-length film. Tomas Milian plays a character that seems the reverse of Celi: he's an albino dressed in white, who is not interested in God, but only in the filthy lucre, money and gold. Actually, he is so obsessed by gold that he only loves blond women, and gets berserk when he sees their goldilocks. Personally I found this final episode difficult to enjoy. Milian's epileptic albino is too much of a caricature, and to make things worse he turns in the most overwrought and outrageous performance of his career. His black glasses make him look like German Schlager Sänger Heino, which doesn't help either. But there are people who have spoken more positively about this act and his performance. 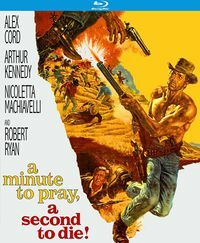 Sentenza di Morte is an interesting spaghetti western, beautifully shot by Toni Secchi, helped by a wonderful costume design and some surprising theatrical lighting effects, but it's also rather verbose and the narrative structure of four separated episodes doesn't always work in its advantage. Furthermore Lanfranchi misses some opportunities in relation to the character of the avenger: in the first episode Diaz comes up with the surprising information that Cash's brother wasn't an innocent victim: he was involved in a bank robbery and was killed because he tried to swindle his four partners. This could have been a starting point for an exploration of both the vengeance theme and Cash's character, but the moment is never referred to again in the remainder of the movie. Gianni Ferrio's score is very unusual, jazzy, atmospheric, with a theme song that is also out of the ordinary. 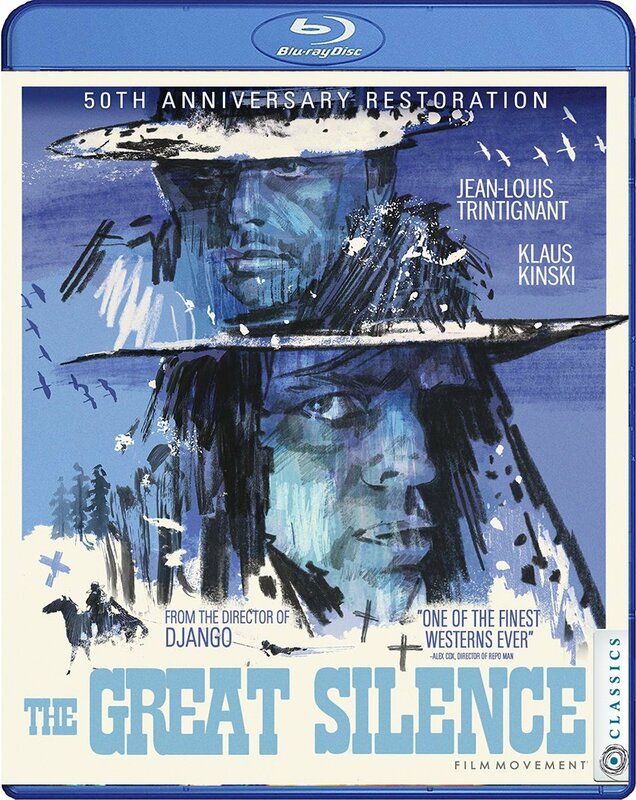 I had the idea it's more appropriate to a film noir than a spaghetti western, but it's a fine score, and I liked it a lot. 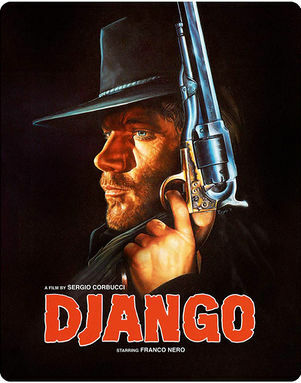 Reviewed DVD: I watched the German DVD of this film, called Django - unbarmherzig wie die Sonne released by Koch Media. 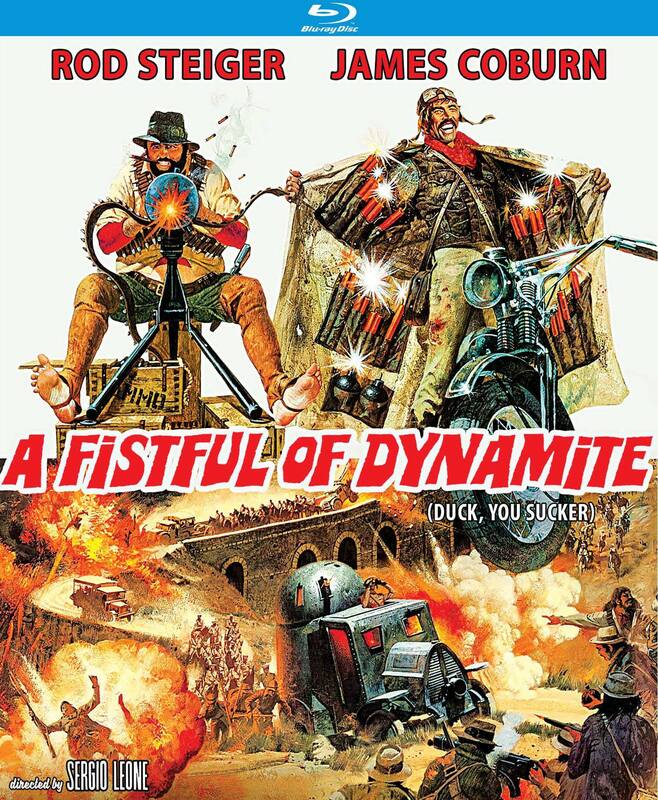 You can read a review of this DVD here. This page was last modified on 8 February 2017, at 16:18.